Most recent dystopian novels occur in a future so distant it is almost unrecognizable. That’s not the case with Suzanne Young’s latest novel, The Remedy. This novel is a prequel to The Program and The Treatment and is set in a world that could be just months in our own future. Quinlan McKee is seventeen years old, and she works as a closer – someone who is hired to provide closure for grieving families by impersonating their loved one who has passed away. In Quin’s world, mental health is extremely important, and if someone appears unstable, they are mandated to have therapy. Closers exist to help prevent depression and other issues that people face when a loved one dies. Shortly after finishing one assignment, Quin is assigned to an urgent case that changes her forever. I found this book so fascinating for a number of reasons. Quin’s job is to help others preserve their mental health, but she faces problems of her own from the very beginning. As a closer, she adopts the personality, habits, and style of a deceased person, sometimes for days at a time. She began working as a closer at the age of seven, and as a side effect, she has a hard time distinguishing her past from those of the people she’s pretended to be. Throughout the book, she faces problems keeping her own identity separate. I really enjoyed that the world was so familiar, but so different at the same time. The technology doesn’t seem outlandish, the landscape is familiar, and the characters seem like any person you might pass on the street. It’s almost like a parallel universe where the government has recognized the importance of mental health and taken things to extremes. There are systems in place to help people maintain peak mental and emotional health, but if people are depressed or have other problems, it seems like they are given consequences instead of help. Fans of Young’s other books won’t find any familiar characters in the pages of The Remedy, but they will find a very similar tone and feeling of suspense. Young does a great job of keeping you on the hook by revealing little bits of information about Quin’s latest case without giving it all away at once. For those who like a bit of a love story, this book will not disappoint. In fact, this book has something for everyone. From mystery to romance and everything in between, The Remedy is one of the best new dystopian novels you will read this year. Debut author Amy Engel may be fairly new to the world of young adult fiction, but you would never know it from her twisty and addictive first novel, The Book of Ivy. Ivy has a bit of everything, from romance to dystopia to espionage, and trust me – you’ll be hooked after just a couple of chapters. 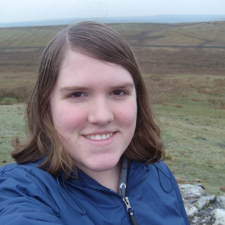 Amy was kind enough to answer a few of The Daily Quirk’s questions about her new path as an author and where The Book of Ivy series is headed. 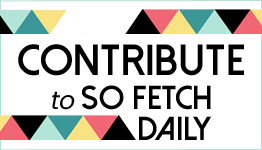 The Daily Quirk: Can you tell our readers a little bit about yourself and how you became a writer? Amy Engel: I always wanted to be a writer, but after college I took the practical route and went to law school. I worked as a criminal defense attorney after graduation and then left the practice of law to stay home with my kids. I promised myself that I would try writing a book and just see what happened. I wrote one novel that wasn’t terrible, but wasn’t very good, either, so I trunked it. After that, I got the idea for The Book of Ivy and was lucky enough to have Entangled Teen pick it up. TDQ: What was your inspiration for The Book of Ivy? Does the finished story pretty well match up with your original idea, or did it evolve as you wrote? AE: I’m not really sure what my inspiration was for the book, to be honest. I’ve always been interested in family dynamics and the ways our families influence us, both for good and for ill. But the initial idea pretty much came to me in a flash one morning. I had just a broad idea for the story and knew how I wanted it to begin and how I wanted it to end. The rest was pretty murky and definitely evolved as I wrote. I’m not a writer who outlines; I like discovering the book as I write. TDQ: For me The Book of Ivy was a page-turner; once I started reading I could have kept going for a few hours straight until I finished. What’s the last book you read that gave you that feeling? AE: First, I’m so glad Ivy was a page turner for you. I definitely wanted readers to be engaged with the story. As for the last page turner I read, it was probably Eleanor & Park, by Rainbow Rowell. I was late to the party on that book, but once I began reading I devoured it! TDQ: What has been the most exciting part of being a published author? AE: With writing, you often feel like you’re existing in a vacuum. You are alone and writing and pretty much living inside your own head. It’s nice to have my book out in the world where other people can read it. Ivy and Bishop have belonged to only me for so long; I love introducing them to other people. TDQ: How has the experience writing the conclusion to the series, The Revolution of Ivy, been different from writing the first book? AE: I probably feel a little more pressure with the sequel. With The Book of Ivy, I was writing for myself only. Now that readers have connected with Ivy and Bishop, I feel an even stronger obligation to make sure I write the best sequel I possibly can. TDQ: Speaking of which, The Book of Ivy ends on a pretty major cliffhanger. Is there anything at all you can tell us impatient readers about The Revolution of Ivy, or any other upcoming projects? AE: This is a hard one because I don’t want to spoil anything major! I guess I can say that although The Revolution of Ivy is again Ivy’s story, Bishop is a huge part of who she is now, so her story wouldn’t be complete without Bishop being involved. Also, Ivy is going to learn a lot about who she is, how strong she can be, and what she has the power to endure. Thank you, Amy, for taking the time to answer our questions! 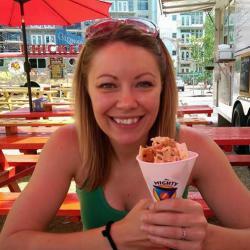 You can learn more about Amy Engel on her website or by following her on Twitter. Okay, so if you’re like me and you read a lot of YA fiction, you might be feeling a little bit of dystopian fatigue. Like paranormal romance before it, dystopian had a big moment in YA the past couple of years and it’s gotten to the point where we’re so saturated with dystopian that even a really good dystopian book can begin to feel old hat or cliche. I say this because, as much as I try to be aware of these things and judge every book on its own merit, I could not help but compare The Book of Ivy to its predecessors in dystopian YA. But the thing is, a little repetition isn’t a big deal to me as long as the story still resonantes. I’ll admit there’s room for improvement in world-building as The Book of Ivy series progresses, but the dystopian setting did its job as a vehicle for the grander plot despite not being anything particularly new or different. This style might not work for everyone, but I was actually pleasantly surprised at how much I was able to get into The Book of Ivy despite my initial reservations in the early chapters. The basic story involves Ivy, a girl from the poor part of town, who is in an arranged marriage with Bishop Lattimer, the son of the previously mentioned all-powerful leader. Ivy’s father is the leader of a resistance group attempting to take over power of their little colony, and Ivy’s new marriage is the perfect opportunity. With her access to Bishop, Ivy can play a pivotal role in aiding the resistance – ultimately by killing Bishop. Oh, but of course there is a catch. As it turns out, Bishop isn’t the terrible human Ivy expected him to be but is instead quite thoughtful and open-minded. Ivy starts to feel a connection to Bishop that causes her to question whether she can actually go through with her father’s murderous plan. Most of the book is spent following Ivy as she settles into her new life as the wife of the President’s son, which mainly involves a lot of awkward encounters with Bishop. There are other things peppered in between – including a couple of little plot twists and a cliffhanger ending. The interesting thing about The Book of Ivy is that even though it’s hard for me to really explain the forward momentum of the story, it’s actually extremely readable and about a third of the way through it became a downright page-turner for me. Credit that to Engel, I suppose – what this book lacks in dystopian world-building it makes up for with the addicting writing style. And as with most “first” books in dystopian trilogies, there is always room to fill out the world more clearly over time, so I’m willing to give the benefit of the doubt there. One of the things that really helped bring me on board was Ivy herself – she shows true character growth throughout the book and manages to avoid falling into the trap of terrible decision making based on stubborn but silly beliefs. This sort of thing happens a lot in YA, and while I have no problem with a teenager making a bad decision, it’s a lot easier to swallow when it comes from a strong character whose perspective you can understand, even if you don’t agree with it. 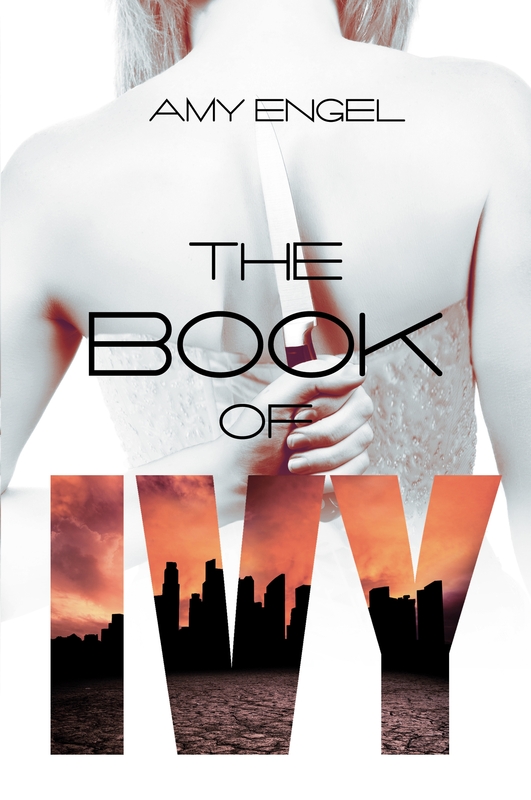 Ivy is just that – even though her loyalties were misguided, I totally got why. Plus she wasn’t blind in her beliefs, but instead was constantly reassessing them and learning from her experiences. Now that I can get behind, and it goes a long way in making up for any other potential shortcomings with the story. I’ll also give a shout out to the total lack of instalove in this book. Ivy and Bishop may have been married within the first couple of chapters, but their relationship was far from close, or even comfortable, and it evolved over time. I loved how even though Ivy logically knew she shouldn’t feel any stake in the relationship if she’s just going to kill the guy, she couldn’t help but feel awkward and embarrassed while she was getting to know Bishop. It was a cute, relatable tidbit that made the scenario feel much more realistic than you might expect. In the end The Book of Ivy really did win me over and I’m looking forward to reading the next book in the series. As I mentioned, there is a cliffhanger ending and it’s hard to tell what direction the series will take, which I actually really enjoy. Nothing is worse than knowing where a series is headed and being either disappointed it doesn’t live up to your expectations or unmotivated to keep reading when you see it’s going in a direction you don’t like. No problem with that here! Readers who really prefer detailed world-building in their dystopians may be frustrated by this one, but if you don’t mind your dystopian a little on the soapy side with a bit of revenge, a lot of fun, and, of course, a love story, check this one out! 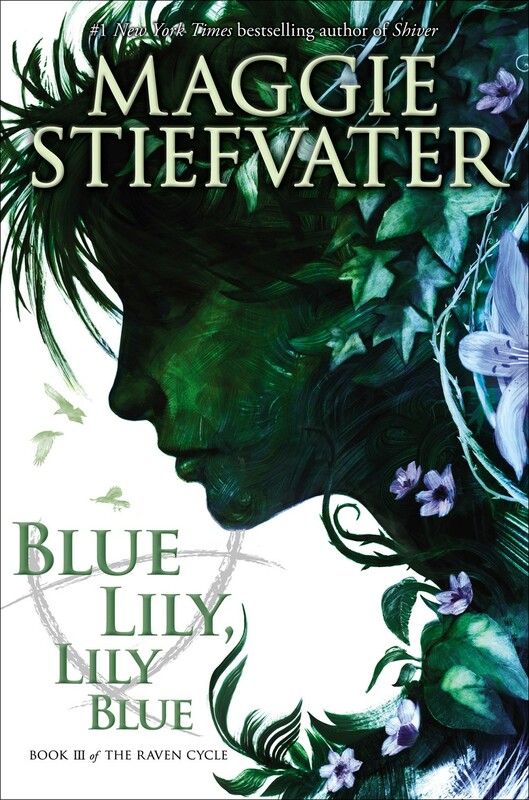 Blue Lily, Lily Blue is the third book of four in Maggie Stiefvater’s The Raven Cycle series. This series snuck up on me a little bit. I didn’t know what I was getting myself into. It took me a while to warm up to the first book…but then it stuck with me. And then after the second book, I felt a little disappointed, like it was good but also superfluous to the grander story. But no. I reread it and my opinion changed entirely. These books get under your skin. Blue and the Raven Boys are not just characters to me anymore, and Henrietta isn’t just a setting. Needless to say, I was looking forward to Blue Lily, Lily Blue. And for the first time, it didn’t take multiple reads or reflection to fully appreciate what I was reading. Others are calling it a bridge book, filler between setup and finale. And maybe it is, but for me it had just as much action and plot momentum as the other two books. Of course, there’s not much I can say about that plot without spoiling, but the cave setup at the end of The Dream Thieves transitions into the main story of Blue Lily, Lily Blue, which involves Blue and the boys exploring the new Cabeswater cave as well as investigating some other potential linked cave systems with the dual purpose of potentially finding Blue’s mother, who disappeared underground with a mysterious note at the end of book 2, and continuing Gansey’s search for Glendower, the sleeping Welsh king of legend. All the characters we know and love are back, and much to my delight there is more focus on Blue in this book – I missed her perspective a lot in The Dream Thieves and was happy to see more of her here. Ronan shifts to the background a bit, which I also appreciate. I know a lot of people love Ronan and I do think he’s a fascinating character with a lot of depth to explore, but I just don’t particularly love being in his head. I find him much better suited to bringing his unique brand of pessimism and ire to every situation when he is more of a side character. Another bonus is the character development of Adam – in The Dream Thieves he became kind of insufferable. In Blue Lily, Lily Blue, he is redeemed significantly. This transformation is just one of many ways Stiefvater plays with reader’s emotions. She also provides more excruciating glimpses at the potentially doomed Blue/Gansey relationship, as well as tantalizing hints about the direction of the story overall and how everything ties together on a grander scale. Stiefvater also introduces several new, fantastic side characters. Remember how in The Dream Thieves Stiefvater took The Gray Man, a character who would normally be painted as a villain, and made him entirely loveable? She cranks this up a notch in Blue Lily, Lily Blue by introducing us to The Gray Man’s former boss, Greenmantle, and his fantastically horrible wife, Piper. They are both terrible people, but oh, they are terrible in the most entertaining way possible! We also meet a townie named Jesse Dittley who speaks in caps lock. I loved this man. There was hardly a single thing that came out of his mouth that did not make me giggle. What really makes this series stand out to me is Stiefvater’s ability to create a very intricate, mysterious story with beautiful detail and mix it seamlessly with characters grounded in reality. The blunt dialogue, the quiet (and not-so-quiet) humor, and the relationships between the characters feel so real. It’s a really fantastic contrast with the ambiance and magic of the overarching story, and it’s a combination that makes these books feel like an experience. If you want a taste of this fantastic book, check out the prologue online or view the book trailer below! 5 Reasons to see ‘If I Stay’! Think about the quintessential contemporary young adult book. Consider what characteristics you’d expect it to have. Got it? Okay, now: Assume Better Off Friends by Elizabeth Eulberg ticks every one of those boxes. The story is simple: Macallan is still dealing with the emotional fallout of losing her mother in a car accident. Levi is new in town, a laid back surfer who feels out of place in a Wisconsin middle school. Macallan takes pity on Levi and has him join her and her friends for lunch. Levi and Macallan bond over a shared love of a quirky British sitcom. Soon, they are inseparable. Best friends. But you know how these things go. As they get older, things get complicated. People assume they are a couple. They have trouble with their individual relationships, as well as how those relationships impact their friendship. They help each other, they hurt each other, and they do that really annoying thing that high school kids do where they would rather assume than communicate. Realistic, sure, but sometimes I just wanted to grab them and shake them and force them to talk to each other! But then, that would be too easy, and the book would be half as long. With narration shifting between Macallan and Levi, readers are clued in on exactly what each character is thinking. Eulberg does a great job of giving the two main characters distinct voices, and to her credit she doesn’t take the easy way out and have her characters switch gears during chapters they are not narrating. One of my biggest pet peeves about dual narrative books is when a character is thinking one thing in their own chapter, then magically thinking something entirely different once we switch to the other character’s perspective. I was happy not to find that in Better Off Friends. There’s obviously a very young vibe to this book. It’s written for tweens and teens, and it definitely reads that way. That’s not always the case with young adult books – in fact, often it’s not – so it took me a little while to get used to the style. It makes for a quick, easy read, but it also took me out of the story a bit. This was probably a highly personal thing. As an adult reading YA, I felt a little weird. An actual teenager reading it would probably find it incredibly relatable. Better Off Friends is a simple, sweet story that has been told many times in many different ways. But there’s a reason for that – it’s a good story. Eulberg does a nice job of adapting it for teen readers in a cute and accessible way. It’s probably not a book that will stick with me for a long time or will find itself on my list of 2014 favorites, but it was fun while it lasted. When I said Better Off Friends is a quintessential young adult book, I meant it. I think tweens and teens especially will love what this book has to offer. Older readers might not click with it as easily, but can certainly appreciate its innocence and timelessness. Meet the cast of ‘The Maze Runner’!